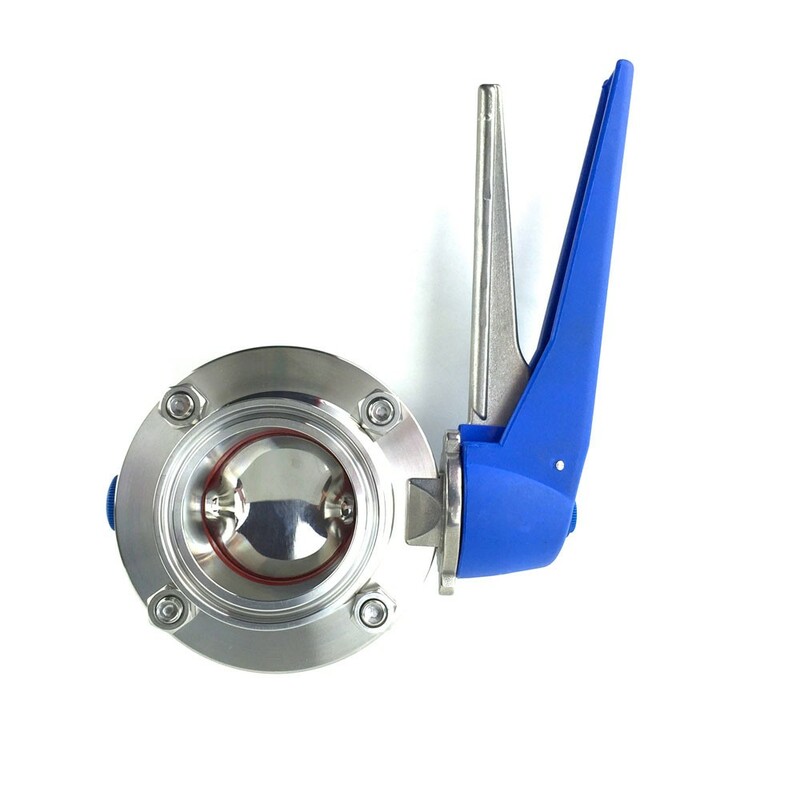 2" Tri Clamp (TC) butterfly valve with squeeze-trigger lock that can lock in several different positions. Squeeze the handle to rotate the valve 180° to either side. 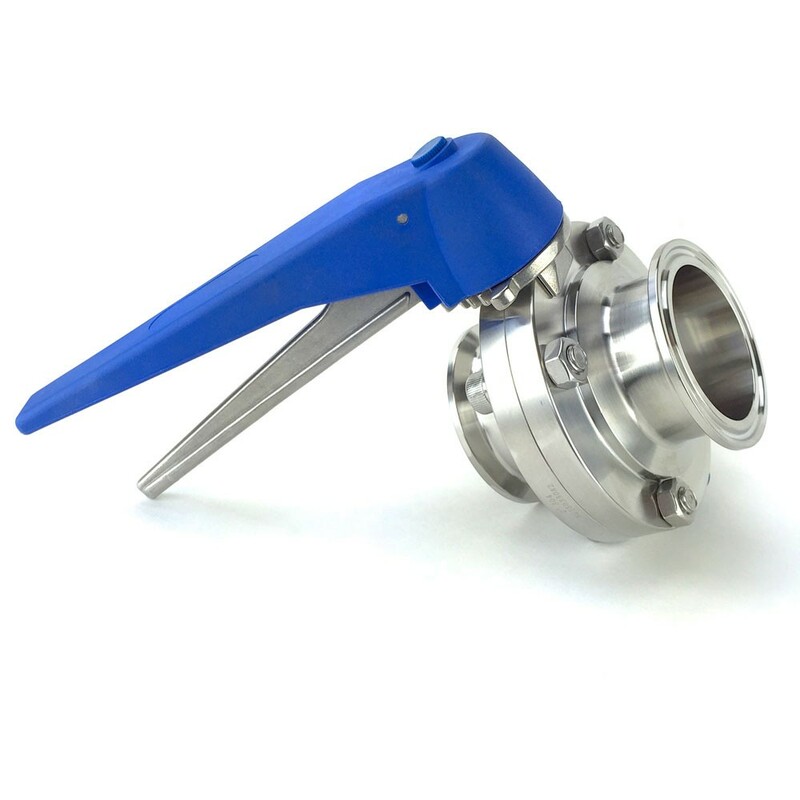 Made of 304 stainless steel these butterfly valves are compatible with all 2" Tri Clover and Tri Clamp style fittings.